TelFlow-RF is Tellink’s next generation wireless transceiver that has been specifically designed for smart metering applications. This piece of equipment include a set of long-life batteries and it includes datalogger capabilities. 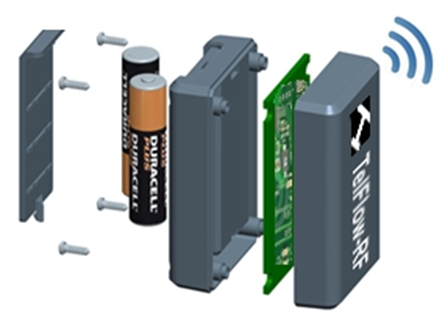 Different versions of TelFlow-RF are available depending on the whether it has to be connected to already-existing mettrets (robust enclosure), or as part of the manufacturing process of the meter (PCB) as an OEM product. There are two fundamental challenges to be addressed in a Wireless Smart metering scenario: 1) Ensure a robust Wireless coverage, and 2) Minimize power consumption so that battery life can be long. Tellink’s Telflow-RF has been designed having these two challenges in mind and the result is a piece of equipment that maximizes coverage/power consumption ratio. TelFlow-RF product line includes RF transceivers that supports most commonly used RF frequency ISM bands including 868 MHz (EU EN300-220), 915MHz (US FCC15-247/249), 433 MHz, as well as 2.4 GHz. The usage of one particular frequency band depends on the region of the world where the installation occurs and the specific requirements of the smart metering application. TelFlow-RF transceivers can operate using different types of network architecture including master/slace, point-to-point, star or mesh topologies. 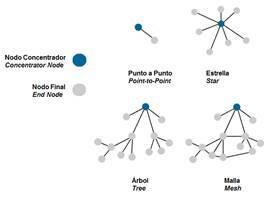 Every TelFlow.RF node has its own device ID and network ID, and depending on the topology used, every node could also act as a repeater. 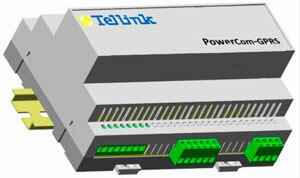 TelFlow-RF final nodes communicate with PowerCom-RF concentrators or Gateways. There are different types of PowerCom-RF concentrators, depending on the WAN network interface (GPRS/3G/4G, Ethernet, etc), the ISM RF bands to be used (868 MHz, 915MHz, 433 MHz, y/o 2.4 GHz) and the RF transmission power of the transceivers. Due to its design flexibility, TelFlow-RF can be customized so that it can be adapted to specific project functionalities. Tellink’s solution is available either as a final ready-to-install product or as a component to be integrated with other pieces of equipment as part of a system. Contact Tellink if you want to know more on this solution, or if you want to know how TelFlow-RF can resolve your specific project requirements.